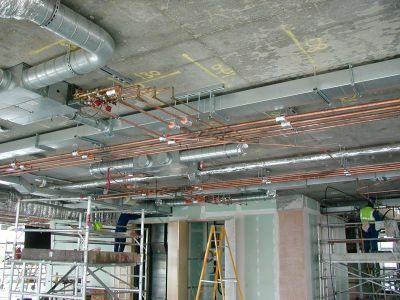 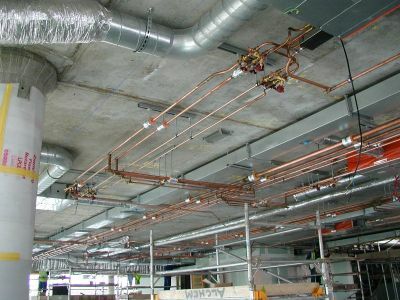 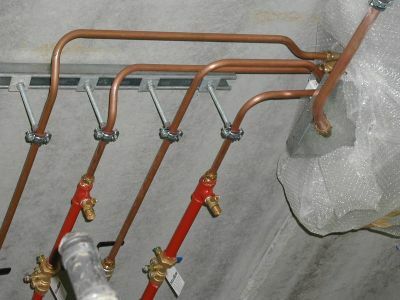 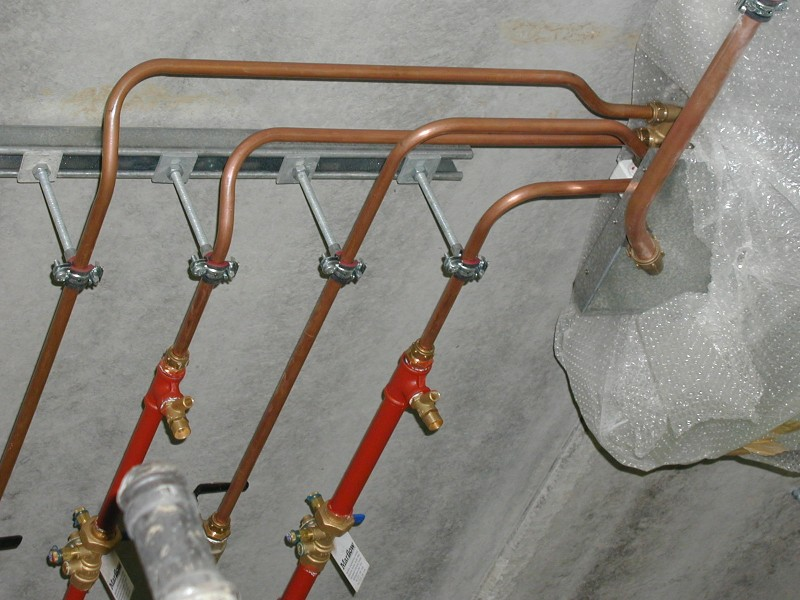 On this Contract at Dartford the Pipework distribution to the Fan Coil Units was carried out in Copper Tube with Yorkshire soldered fittings. 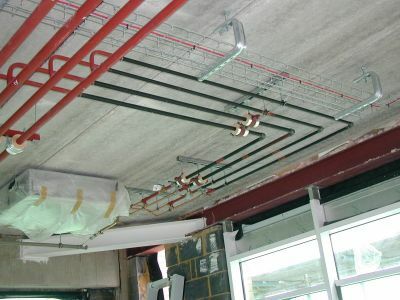 Iron Run-outs to remote FCUs maintaining rigidity and integrity of the circuits. 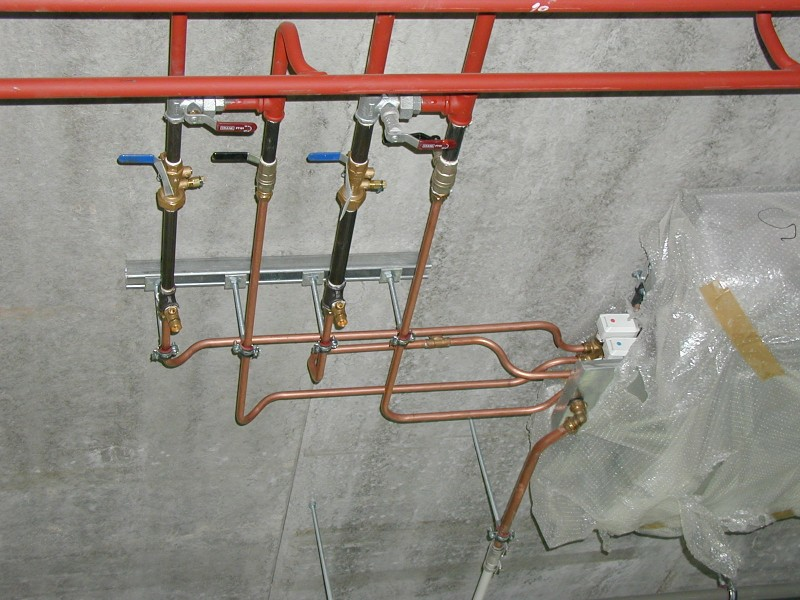 Special By-pass Union valves to facilitate easier installation.